A mad psychic, Kato (Kyusaku Shimada), communicates with the dead while hell-bent on destroying Tokyo. simfusui Jul 17 2012 12:43 am The info is wrong. It's been mixed up with info from the sequel TEITO TAISEN (帝都大戦), also known as TOKYO: THE LAST WAR. 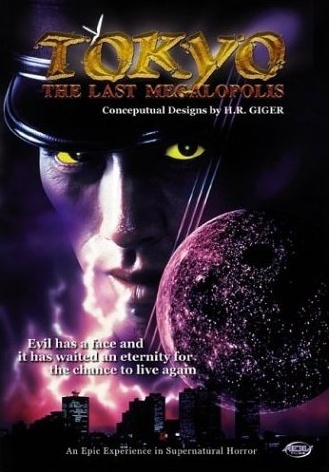 TOKYO: THE LAST MEGALOPOLIS (TEITO MONOGATARI) was released in 1988 and was directed by Akio Jissoji. This film was arguably the first big budget Japanese production to feature onmyoji at the center of the plot, and its success paved the way for films like 2001's ONMYOJI.